Ed is our newest member of the Osteopathy Team. 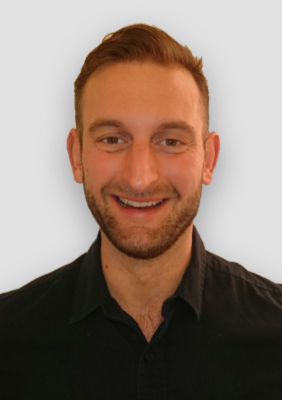 He is among a select number of Osteopaths that have worked for the NHS to provide treatment for lower back pain. After studying for his Masters Degree in Osteopathy at the Leeds Beckett University, Ed went on to work with dancers, musicians and performers at the West Yorkshire Playhouse and competitors at The World’s Strongest Man competition. Ed was Born in Carmarthen, Wales before moving to North Yorkshire in 1987 (He’s been a Yorkshire man ever since). Although Ed still has pride in his Welsh roots by supporting the Welsh Rugby team. Ed loves his food. He has a passion for food and different and varying cuisines. Having taken cooking courses in Thailand to researching and experimenting with new foods. Ed is found mostly relaxing at home in the kitchen. He likes to cook Thai, Italian, Middle Easten and Vietnamese. Ed has a passion for travel and cultures. Having recently travelled to South America and spent 3 months travelling through Panama, Colombia, Peru and Bolivia. While he was there he completed the 5 day Salkantay trek to Machu Picchu. Ed is very active and quite competitive. He currently trains at CrossFit Leeds and enjoys Olympic weightlifting. He is also learning to row with the Leeds Rowing club in Roundhay.